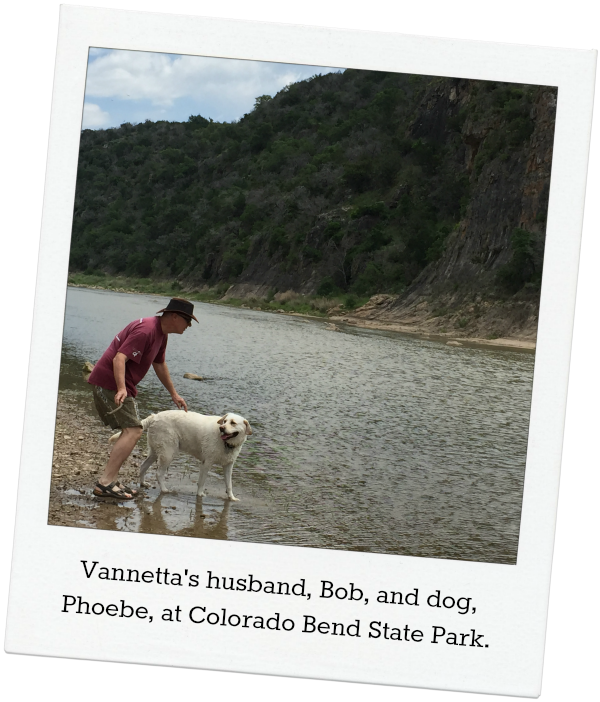 Welcome back to the blog, Vannetta! 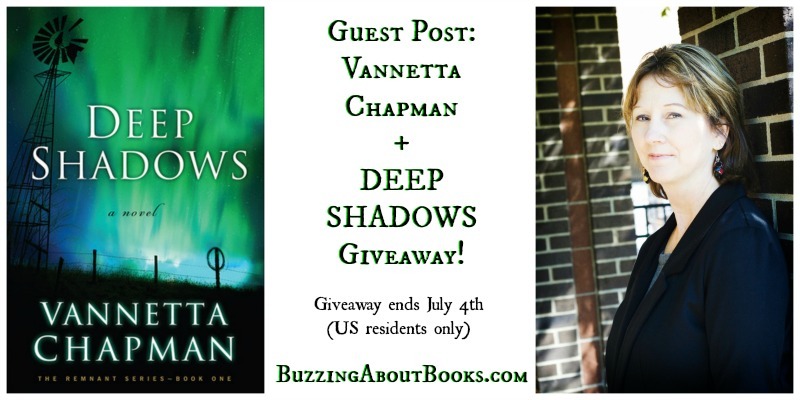 Thanks so much for visiting with us today and for graciously offering a copy of Deep Shadows to one of my readers. Please tell us about dystopian fiction and your latest release. • Gorman Falls and Colorado Bend State Park do actually exist, and it provides a dramatic, remote setting for the opening scene of Deep Shadows. • Fort Hood is located in central Texas and is one of the largest US military installations in the world. The close proximity of this base provides a nice tension to my plot. • There is no town called Fort Croghan; however, the US government established Fort Croghan in 1849 to protect settlers from hostile Indians along the Texas frontier. You can still visit the grounds and museum. I had a lot of fun imagining that a town had grown up around this historic site. • Townsend Mills was established in 1856 and was a base camp for surveying crews. It no longer exists today but the small town Adamsville is located near the old site. Townsend Mills provides a nice transition from small town living to a life spent hunkering down on the farm, waiting for things to improve. • There are more than 2900 natural springs in 183 Texas counties. Water quickly becomes a scarce resource in Deep Shadows, which would especially be true in central Texas where much of the area is exceedingly dry. In my story, any place with a water resource becomes a place of refuge as well as a designated target for those in need of that resource. I can’t wait to read this story! Thank you so much for sharing, Vannetta! 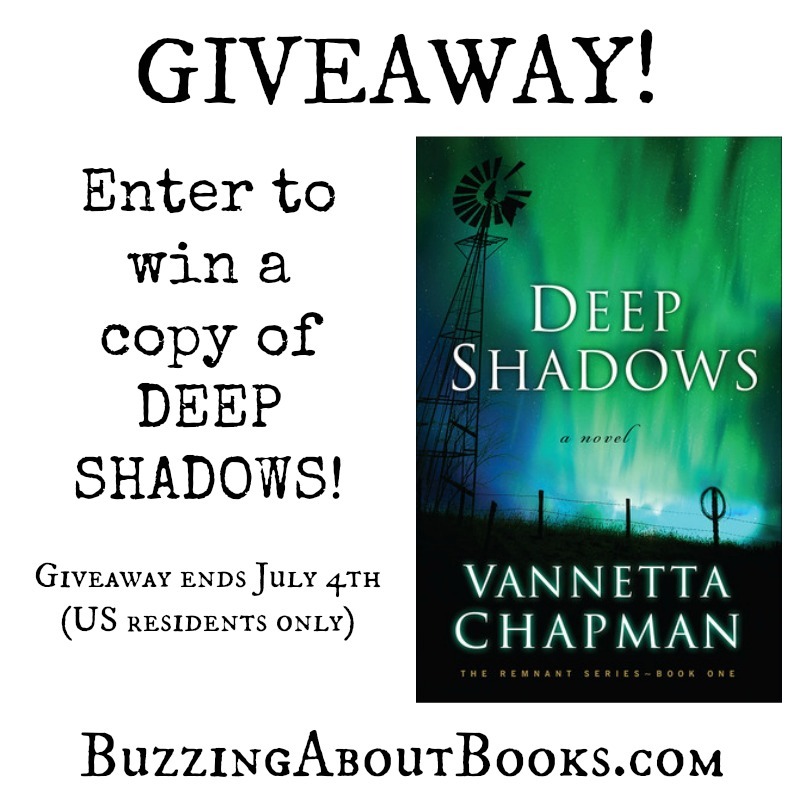 One lucky reader will win a print copy of Deep Shadows! Leave a comment below, and be sure to include your email address. The giveaway ends Monday, July 4th at midnight CDT. The winner will be drawn and announced on July 5th. What would YOU miss most if an electrical disruption occurred? 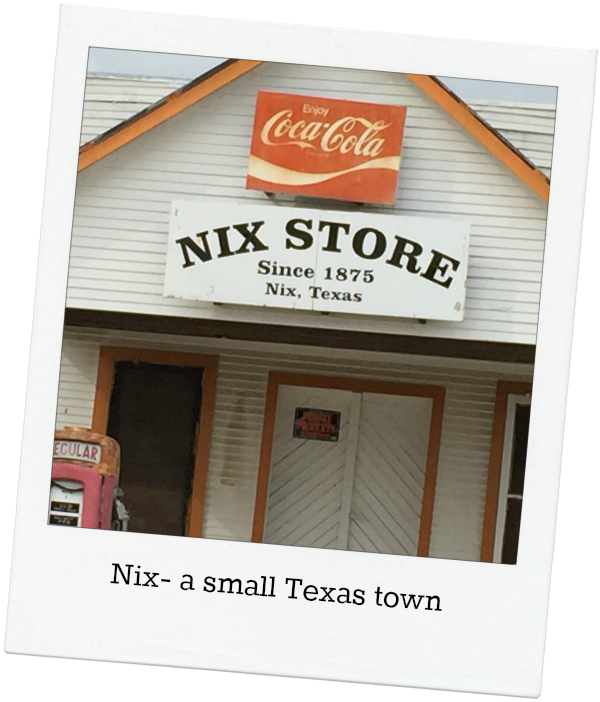 Life in Abney, Texas, is predictable and safe–until the night a massive solar flare wipes out all modern technology. Max Berkman and Shelby were once sweethearts, but he lost his chance at claiming her love years ago. When the abrupt loss of power ushers him into a leadership role, he rises to the occasion. But his highest priority–to keep Shelby and her son safe–could prove to be the biggest challenge of all. You’re welcome! Good luck in the giveaway! Oh wow! Without electricity, in this Texas heat, I would miss the air conditioning for sure! I am a follower snd I love this blog! mauback55@gmail.com Thank you, Britney, for the great job you do! I would miss AC, too! Thanks for following my blog and entering the giveaway! Best of luck! I love V’s books, too! Good luck in the giveaway, Kim! Yes, it would be hard to be without heating and air conditioning! Best of luck in the giveaway, Sheila! 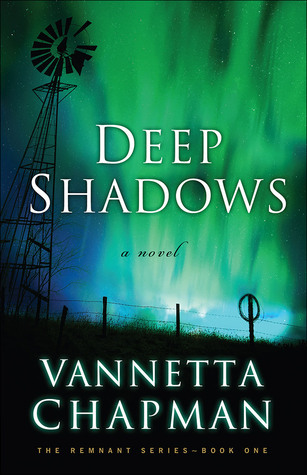 I’ve enjoyed Vannetta’s books in the past, and this one sounds like another one that I would especially find interesting. Thank you for offering a copy. I forgot to mention that I do follow this blog and I shared on Pinterest. Thanks so much for following my blog and sharing the giveaway!! You’re welcome, Kay! Good luck in the giveaway! Really enjoy Vannette Chapman’s books. Would like to read “Deep Shadows”. Me, too!! 🙂 Good luck in the giveaway! 🙂 I follow & tweeted! Thanks so much for being a blog follower and sharing the giveaway!! It certainly does make life more comfortable! Thanks so much for sharing the giveaway, and best of luck to you! You’re welcome, Paula! Good luck to you! Living in Florida during the summer is murder without air conditioning. So I would miss electricity for that reason alone. I wouldn’t miss the television because there is nothing to watch. It’s hard to imagine life without electricity! Good luck in the giveaway, Janet! the air conditioning.Follow this blog and share the giveaway. can I email you my email address? Yes, emailing your contact info will be great! Thanks so much for following my blog and sharing the giveaway, Emma! Oh, this sounds really interesting. I’m so glad that Vannetta gave the description of dystopian because I didn’t realize that I actually like those types of stories. Thanks for the giveaway! I follow your blog on Bloglovin’ and I’ve shared your post on Pinterest, FB and Twitter. You’re welcome, Loraine! Thanks so much for being a blog follower and sharing the giveaway! I would, too!! Thanks so much for following my blog, and best of luck in the giveaway! What I would miss most is electricity. Electricity seems to be at the top of everyone’s list! Good luck in the giveaway, Pat! I love her other books, so I’m exited for the opportunity to win this book!!! I’m glad you’re excited, Lynn! 🙂 Best of luck to you! I think what I would miss most. Would be the internet. I love talking to my Author friends and being part of there lives. Also the special groups that I am a part of like Heart Wings, Pioneer Hearts just to name a few.I have become quite close to many. Thank you so much for sharing your life with me. Best of luck in the giveaway, Justina! Gosh, I’m so spoiled, it’s hard to choose what I’d miss the most! Right now though, I’d say air conditioning!! Ha! Ha! I’m also a blog follower. Thanks so much! Air conditioning would be hard to live without! Thanks for being a blog follower, Robin, and good luck in the giveaway! As much as I would miss my social media. I would have to say my water/electricity. Since our water supply relies on electricity to run the pump stations, I would not only be without all of the modern conveniences I take for granted but also our water supply. Hard to imagine but I know it is a possibility! Right you are, Connie! Although it’s hard to imagine, it is a real possibility! Thanks so much for following my blog and sharing the giveaway! Good luck! I met Vannetta about three years ago at my high school reunion. I graduated in the same class as Bob, Vannetta’s husband. I told her I liked to read Christian books and enjoyed Amish novels. Well, she surprised me when she said had written and published Amish novels. I’ve been a fan ever since we met. I volunteer in my church library so we’re ordering her books. I can’t wait to read Deep Shadows. How fun, Iris! Thanks for stopping by, and best of luck in the giveaway! If we had an electrical disruption, I would miss the feeling of every day safety. I feel out of touch with what is going on and why the power was disrupted. Looking forward to reading “Deep Shadows “. Not the usual Amish fiction from Vannetta Chapman. Yes, safety and security would be very big issues! Good luck to you, Dianne! I would miss air conditioning for sure living in central Texas and knowing all the places she mentioned above. I would also miss staying up late and reading books every night. I’m a late night reader too, Judy! 🙂 Good luck in the giveaway! Can’t wait to read this one. I sure hope something like that doesn’t happen in our future but you never know. I hope and pray we aren’t faced with a situation like this! Good luck in the giveaway, Ola! If an electrical disruption occurred, I would probably most miss my frig, computer, and music. Such an interesting storyline in ‘Deep Shadows’ – I look forward to reading it!! I’m a blog follower and shared your post on Facebook. It certainly is a thought-provoking story! Thank you for being a blog follower, Bonnie, and for sharing the giveaway! I’m looking forward to reading “Deep Shadows”. I would miss my frig. & my Kindle. However, since I have a huge number of paperbacks, I don’t think I would miss the Kindle that much. I have so many keepers that I could reread and love them all over again. Will leave reviews and share on FB. Sorry but I don’t to Pinetree & Twitter. Best of luck in the giveaway, Pat! This books sounds fascinating! The scenario is completely plausible; an EMP is very possible. We’re so dependent on electricity, utterly, which brings to my mind the fact that the Amish are NOT! Very interesting comparison between their way of life, which some laugh at, and the horrible scene that an EMP would create. Of course, with your skill in suspenseful storylines, I’d love to really sink my teeth into your new book. So true! Best of luck in the giveaway! I would miss electricity the most! Especially since it powers my computer to have internet access, lol!! I can’t imagine living life before electricity was invented, I’ve read historical books set in early time periods and am glad for our modern day conveniences! Deep Shadows sound a lot like Terri Blackstock’s Restoration series books, which I loved by the way. I have enjoyed Vannetta’ s Amish books and I bet I’d enjoy this one just as much. Thanks for the chance to win a copy for myself Brittany (spelling?). I follow your blog via email, and shared this on both Facebook & Twitter. I certainly appreciate our modern conveniences, too! Thank you for following my blog and sharing the giveaway, Trixi! Good luck! We lost our electricity for several days during Superstorm Sandy. It was not easy but we made it through. It was cold with no heat and got dark at night. We had to grill on our charcoal grill, use up all our refrig and freezer foods and ration the flashlights and candles. I missed heat and the laptop. Also it was not fun having to take the flashlight with you every time we all used the bathroom. So glad you stayed safe during the story, Maryann! Best of luck in the giveaway! Thanks so much for following my blog and sharing the giveaway, Jordann! Best of luck to you! Can’t wait to read this book! I would most miss air conditioning. Shared on Facebook and follow your blog as well. Thanks for the giveaway opportunity! Thank you for following my blog and sharing the giveaway, Tiffany! Good luck! 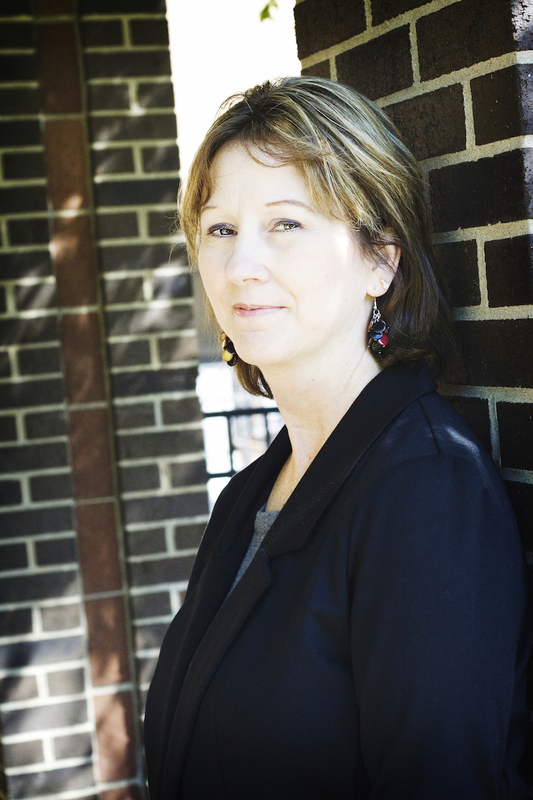 Thanks so much for following my blog and sharing the giveaway, Donna! Best of luck! Wow! What an awesome group of commenters. Thanks for stopping by, everyone. I appreciate you! Everyone is excited about this new release, Vannetta! 🙂 Thanks so much for visiting with us and offering this great giveaway! !